Known for being the first non-English-speaking country to offer educational degrees in English, the Netherlands continues to attract students from all corners of the globe. Today, about one in every ten students in the country is from abroad. All these international students choose the Netherlands not just because of its geographical position as the gateway to Europe. Nor do they do so just because of its World Bank and International Monetary Fund ranking among the top global economies, a position the country is expected to hold in the coming years, or because it continues to be a world leader in the fields of agriculture, water management, art and design, logistics and sustainable energy. It is not even the Dutch progressive stance on equality and diversity, or the fact that nearly everyone speaks English, that makes international students favour the Netherlands. All this plays a role, but there are many more reasons why the Netherlands is a top study destination in Europe. To begin with, there are a high number of internationally-oriented and English-taught higher educational programmes, as well as native English-speaking teachers. Dutch higher education is known all over the world for its international approach, as well as for its high standard in teaching and facilities. On top of that it is subsidised by the government, which keeps tuition costs below those in other important study-abroad destinations such as USA, Australia and the UK. Furthermore, Dutch universities are expat-friendly, with websites in English and a high number of courses in English to choose from, and most of them are set up for international students. Take Groningen Hanze University of Applied Sciences in the north of the country, which helps international students settle in with a free language and culture app. Like many Dutch universities, it also offers an International Service Desk as well as an International Student Team. Such university services can help foreign students with practical tips on anything from insurance, residence permits, accommodation, ‘social security’ numbers and tax refunds, to the legal implications of finding a job as well as advice about student life, the campus and the city. So, what are the options for expats who wish to study in the Netherlands? After completing HAVO or VWO at high school, Dutch students can continue their studies in the Netherlands at a research university or a university of applied sciences. They can also study at an institute for international education, a smaller branch of higher education designed for international students. Together these three types of educational establishment, not unlike other European study systems, offer Bachelor’s degrees (HBO or WO) in 3-4 years; Master’s degrees in 1-2 years; as well as postdoctoral research courses and PhDs in 4 years. Whilst WO Bachelor’s degrees are offered by research universities (universiteit), which are academic or research- oriented, a HBO Bachelor’s degree can be obtained at a university of applied sciences (hogeschool). For English- and Dutch-speaking expats there is a wide range of courses to choose from, and online resources such the English-language online media platform IamExpat, which provides information on a variety of topics for internationals in the Netherlands, list higher educational facilities that are particularly popular for expats. Looking at this in more detail, research universities in the Netherlands focus on research-oriented education. In this academic or professional setting, students can gain a degree in arts, sciences or law. According to IamExpat, there are fourteen research universities and eight academic medical centres in the Netherlands which offer Bachelor’s and Master’s programmes. Many of these research universities offer courses in English, which are particularly interesting for English- and Dutch-speaking expats. Take Leiden University. Founded in 1575, it is not only the Netherlands’ oldest university, it is also one of Europe’s leading research universities. It has a proud record in archaeology, humanities, medicine, law, social and behavioural science and sciences, just to name a few subjects. In Delft, the University of Technology (TU), which was founded in 1842 as a royal academy for civil engineers, has grown into one of the Netherlands’ main technological universities. 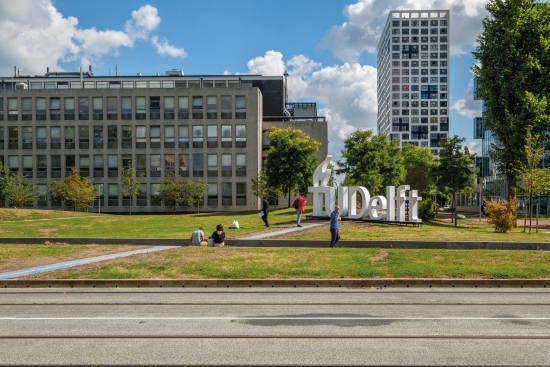 TU Delft focuses on science and engineering, including aerospace engineering, civil engineering, geosciences and maritime and materials engineering. 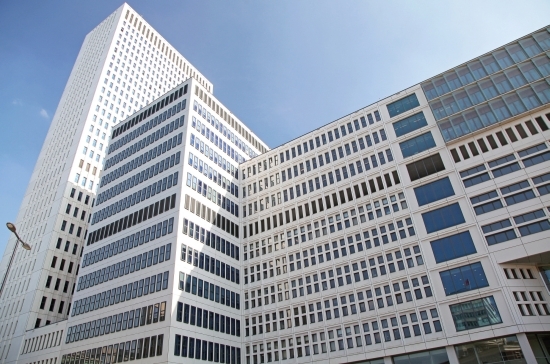 TU Delft works with Dutch as well as foreign educational and research institutions, government and industry. There are also some English-taught Bachelor’s and Master’s programmes from the Open University, which IamExpat rates particularly suitable for expats. Websites such as Expatica, a news and information provider for English-speaking expats and internationals across Europe and further, list research universities that offer international degree programmes and short courses. At these universities, foreigners can take English-language courses in the Netherlands; a few examples are Webster University, Delft University of Technology and Eindhoven University of Technology (Technische Universiteit Eindhoven). At a university of applied sciences (hogeschool), students can gain a HBO degree in fields such as design, engineering, IT and teaching. At this type of university, theoretical and practical knowledge are combined through group work and internships. These institutions offer many opportunities for international students. The University of Applied Sciences Utrecht (Hogeschool Utrecht) for example provides education for students and professionals aged 17-67. It has partnerships with many international educational institutions and businesses. Internationalisation is a key aspect of education and research at HU, while intercultural skills provide a focus in its teaching. The university caters for students of circa 100 nationalities, who take classes together with Dutch students. It prides itself on its international programmes, which it claims ‘provide a culturally diverse learning environment in themselves.’ The HU also attracts teaching staff from all over the world. In a similar light, the Van Hall Larenstein University of Applied Sciences (VHL) in Leeuwarden and Velp in 2018 welcomed more than 40 professional Master’s students from 22 Asian, Latin American and African countries, who took one of its one-year courses in the Management of Development (MOD) programme or the Agricultural Production Chain Management (APCM) programme. Institutes for International Education (IE), which usually reside within research universities, also offer a variety of specialised programmes, varying from short courses to Master’s and PhD programmes. Many of them are particularly suitable to expats due to their international nature, writes IamExpat. Nuffic, the Dutch organisation for internationalisation in education, has launched a website called Study in Holland, an initiative to promote and inform students about Dutch higher education. It describes the six large Dutch IE institutes which offer advanced training and courses in a wide range of fields, including short courses, Master’s programmes and even PhD programmes. IEs focus on the exchange of knowledge in small, intercultural groups, taught by teachers with specific experience in working in developing countries. Study in Holland mentions IE institutes such as Maastricht School of Management, KIT (the Royal Tropical Institute), Tyndale Theological Seminary and UNESCO-IHE Institute for Water Education. In addition, there are a number of private universities and private schools (particuliere scholen), such as Nyenrode Business Universiteit and other business schools, as well as university colleges and universities of the arts, which are popular among expats. According to IamExpat, most Dutch business schools offer a wide variety of part-time and full-time (international) Master’s degree programmes. 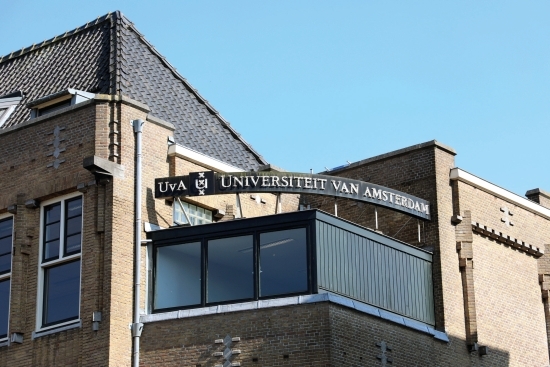 University colleges in the Netherlands (in cities such as Venlo, Utrecht and Amsterdam) offer full-time Bachelor’s programmes in liberal arts and sciences. 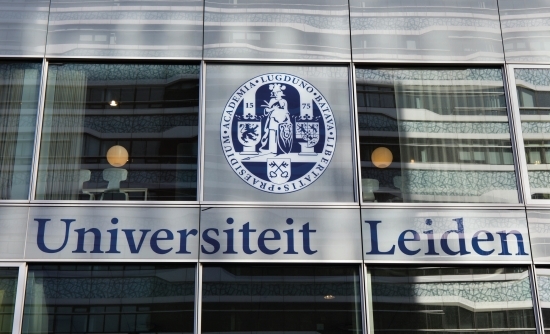 Dutch university colleges are especially known for their international and intercultural focus. The various universities of the arts in the Netherlands (such as the Royal Conservatoire, the Gerrit Rietveld Academy and the Design Academy Eindhoven) offer Bachelor’s, Master’s and research degrees in fine arts, music, dance, theatre, film and television. With so much to choose from for expats, what does this mean in reality? Understandably, in order to participate in the classes and understand the lectures, prospective international students need sufficient mastery of English, as well as Dutch when taking a programme in Dutch. Fortunately, for all new students at universities of applied sciences and universities, tuition fees will be halved from the next academic year (2018-2019), meaning that students who have not studied before will no longer pay 2060 euros for the first academic year, but only 1030 euros. Private schools, such as business schools, have tuition fees ranging from roughly 16.000 to 36.000 euros for a complete programme, writes IamExpat. The minimum admissions requirement for an HBO Bachelor’s programme is a diploma at Dutch MBO level 4 (senior secondary vocational education) or Dutch HAVO (higher general secondary education). For WO Bachelor’s programmes, this is a diploma at Dutch VWO level (preuniversity secondary education) or an HBO first-year diploma. It is more than clear that expats are welcome at higher education institutions in the Netherlands, and international students are seen as a valuable addition to Dutch education and the country’s knowledge economy. The Week of the International Student, which is celebrated every year around the Day of the International Student (17 November), is testimony to that. The Nuffic initiative, organised in cooperation with educational institutions, has been designed to put international students in the spotlight with events around the country, as well as webinars and social media campaigns. This year’s theme is ‘Food brings people together’. It is no coincidence that Nuffic recorded the highest-ever number of international students studying in Dutch higher education during the academic year 2017-18. Other than understanding the Dutch education system and knowing what is available in terms of courses and programmes, those planning to study in the Netherlands have many more preparations to make. Besides a residence permit, some expats (or their family members) may require a work permit. Diplomas and certificates awarded abroad need to be accredited by the Dutch authorities. Universities often have international offices that can provide information about whether a foreign degree is recognised in the Netherlands. The IDW (Internationale Diplomawaardering) website offers this service for a fee. Studyportals, an online reference source for international Master’s degrees, which also publishes Bachelorsportal. com, PhDportal.com, Scholarshipportal.com, ShortCoursesportal. com, DistanceLearningportal.com and STeXX.com, lists a variety of preparatory courses that international students can take, such as pre-MBA, pre-Law and pre-medicine programmes. According to IamExpat, those planning to stay in the Netherlands for four months or more will need to register at the local town hall. Their newly received BSN (burgerservicenummer) serves as a personal registration number that facilitates interaction with authorities. It is needed to start a job, open a bank account, do taxes, apply for benefits etc. For online administration and to deal with certain agencies and bodies, such as the Dutch tax office (Belastingdienst) and the Dutch police, you will also need a DigiD (short for Digital Identification). Not many Dutch universities have a campus and due to the general shortage of student housing in the Netherlands, international students should start looking for a house or room as soon as possible, through one of the many housing organisations and agencies that cater to students. Some student associations and societies (studentenverenigingen) have their own student houses. Each institution has a network of associations that bring students together for academic activities, sports and recreation. All these associations are run by students, and some of them are internationally oriented. Two of the larger international student associations are AIESEC and the Erasmus Student Network (ESN). Many expats have to deal with stressful situations related to having to familiarise themselves with a new culture, missing their family and friends or feeling isolated or misunderstood. PsyQ International is part of PsyQ, the largest outpatient mental health organisation in the Netherlands. It provides professional support for a range of mental health problems for internationals and expats living in the Netherlands. To receive student loans and grants in the Netherlands, foreign applicants must meet the conditions that apply to Dutch students. They must also meet a number of additional conditions. The DUO (Dienst Uitvoering Onderwijs) is the relevant department of the Ministry of Education, Culture and Science. Its website provides information on this. The Dutch grading system ranges from 1 (very poor) to 10 (excellent). A 5,5 is the passing minimum, whilst 1 to 3 and 9 and 10 are not frequently given. Preferred grades may depend on the type of programme or course one applies to. The academic year for Dutch universities and hogescholen starts in September and runs through to the end of June of the following year. It is divided into two semesters. There is a break over Christmas and the New Year. There are many scholarships available for international students to study in the Netherlands, such as the Holland Scholarship for non-European students and the Erasmus.